At some point or another, your medical practice could probably use the help of a collections agency. Sign #1. Your patients are MIA. When a patient moves, you’ll be lucky if they update their address with your practice. Unfortunately, the vast majority of patients don’t even think about doing this, and if they have past, unpaid balances, it’ll be much harder to track them down if you don’t have a current address. One way to address this issue is to utilize the United States Postal Service’s ancillary service endorsements. With these endorsements, USPS will forward your bills to the right address for a fee. The major disadvantage of this service is that it only works if your patient updates their address with USPS, and that doesn’t always happen either. In this case, a collections agency may be your best option. Sign #2. You don’t have the resources to get payment upfront. Many practices prefer to send statements to their patients rather than having to ask for payment in person because they just don’t like the idea of having to comfort a patient about payment face to face. Collecting upfront — while your patients are still in your office — is the most effective way to handle billing and collections in your practice. Once your patient leaves your office, your chance of collecting from them drops by a whopping 20 percent. If you aren’t able or aren’t willing to collect payment upfront, you might want to consider hiring a collections agency. Sign #3. Unpaid bills are hurting your bottom line. 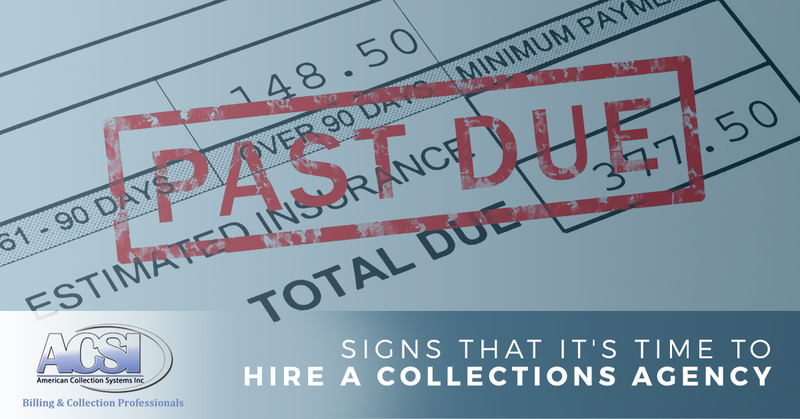 If unpaid and unrecovered debt is starting to hurt your revenue and affect your bottom line, then it’s time to consider hiring a collections agency. Regardless of whether it’s because you’re patients have moved, your patients are unresponsive or you can’t collect payments upfront for any reason, if your revenue is suffering, your business will too at some point or another, and that’s not a risk that’s worth taking. Find the solution to your collections needs with American Collection Systems. If you think that it’s time to consider hiring a collections agency in Wyoming, you’ve come to the right place. At American Collection Systems, we have the experience and the expertise to handle all of your collections needs, but we don’t stop there. 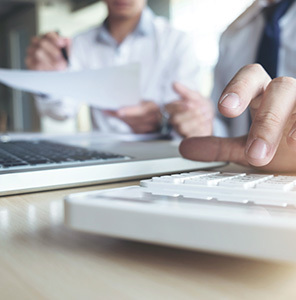 We can help you streamline and enhance every aspect of your revenue cycle, from preparing claims and finding the right EMR software to appealing denied claims and processing payments. We even offer revenue cycle consultations! Don’t wait to get the collections help that you need in your practice. Contact us today to get started.